Remember Marriage Italian Style with great Sophia Loren and Marcelo Mastroeni, or Mr. Robinson with Paolo Villagio? Here is another one that I am sure many of you have seen a million of times, The Taming of the Scoundrel with Adriano Celentano and Ornella Muti. All these films are timeless Italian comedies that none of you will ever get tired of watching. But to that exclusive list you will probably have to consider to add QUO VADO? (WHERE AM I GOING?) with Checco Zalone that won’t give you rest from the constant laughter throughout the film. Checco grew up believing that a permanent job is sacred and cannot be lost at any cost. That would have given him an opportunity to all possible benefits every Italian employee is entitled for. However, with a new reformist government comes a new promise to cut down on bureaucracy, and Checco falls as one of the system’s victim. In order to keep his job, Checco agrees to accept any challenges until the moment when he meets the love of his life…. While the short synopsis may sound too serious, the movie itself is absolutely the opposite of it. The opening scene introduces us to Checco in Africa, the purpose of this trip yet to be known. Shortly after, our hero and his driver are captured by a dangerous tribe which lives in Kasu territory, where the leader of the tribe, Dogon demands from Checco to tell the story of his soul before deciding whether he is worthy of passing though their land or not. The option to become barbeque did not sound too well for Checco, so he begins to share the most hilarious story you will ever hear, in the meantime, painfully relevant in every society or culture where people live. It’s quite difficult to pick any scene to describe it here for you. Every scene carries a significant amount of joy, laughter, hilarious lines that will leave you simply amazed. At the same time, it touches a serious subject through the humor in a very unique and intelligent way. Checco literally agrees to face the worse situation to keep what he always believed in. Any difficult and dangerous assignments Checco accepts that promises him a nightmarish life, but in the end, he always ends up enjoying every minute of it. That perhaps, comes from his optimistic nature we all wish to have. QUO VADO is a film that you easily can get back to watching all over again the same way you do when it comes to see one of your favorites movies. The plot is smart, bright, funny, but in the meantime, very profound. It explores the importance of having a permanent job, but personal happiness as well. All this money you may get as you work will never buy a happiness you might be looking for, this movie claims. I must say you might be agreeing with this statement too. 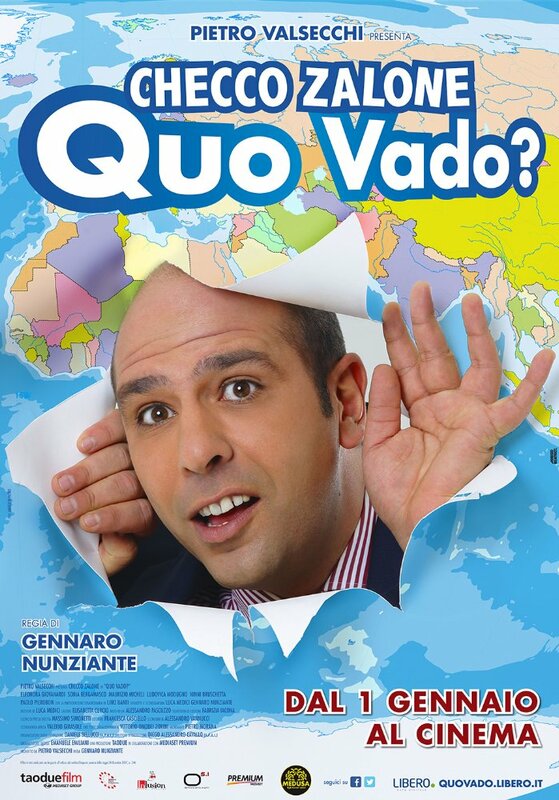 More importantly, QUO VADO is the only film I found in years so funny, dynamic and with positive energy that I must admit once it comes out on Blu-ray I will have to own it, the same way you will wish to do the same. Believe me, you most likely will!